Your child enjoys HappyFeet at school so why not share the fun with friends at his/her next birthday party? 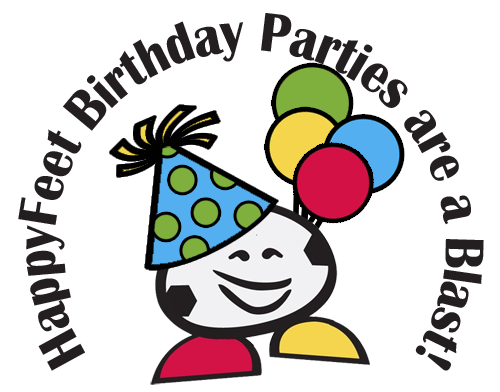 HappyFeet birthday parties can be held at our HappyFeet facility or local park! HappyFeet coaches are trained to put on an excellent program in a variety of spaces. For $149 we allow 1 hour and 30 minutes of facility usage. 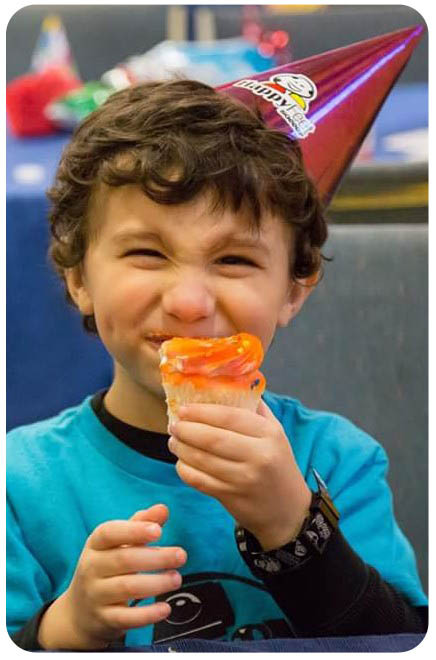 Our birthday parties are designed for 12 or fewer kids. We provide 30 minutes of on-field/game time with a HappyFeet coach then after cake and ice cream 30 minutes of free play with the coach supervising. We also provide the tablecloth, plates and silverware, food and drink is not provided, but you may bring what you need. "Rethinking Soccer" - Soccer the HappyFeet Way! Taking A Break - Does It Make Sense?